When he announced that Kendricks would have surgery to repair a knee injury suffered in a game against Minnesota on Dec. 10, Carroll spoke optimistically of the team being able to retain Kendricks. “We’re looking forward to getting him back next time and keep him with us,’’ Carroll said. Carroll said the knee injury was a 6-8-week recovery and would not impact his availability next season. If the team knew for sure it had Kendricks in the fold for 2019 it could impact how the Seahawks approach things with Wright, who has been a mainstay of the defense since 2011 but played just five games this season due to a knee injury that required surgery and also will be 30 next season. Wright has said on several occasions since the end of the season he expects to hit free agency with the Seahawks having made him no firm offer. The Seahawks appear willing to let Wright hit the market and see what happens. Wright just finished a four-year contract that paid him an average of $6.7 million. He may try to get more than that in the open market but Seattle wouldn’t likely match anything above the deal he just finished and may not want to go that high. Would greater uncertainty about the status of Kendricks make Seattle more aggressive about retaining Wright? That’s probably the hope of Wright. The Seahawks, though, appear more adamant than ever about keeping to a strict and disciplined salary cap structure, especially in light of the backfiring of the third contract handed to Kam Chancellor prior to the 2017 season, which will continue to hit the team hard in the cap in 2019. Seattle has two other options at WLB who will almost certainly be on the roster in 2019 — Shaquem Griffin who has three years left on his contract, and Austin Calitro, who is an Exclusive Rights Free Agent, meaning all Seattle has to do to keep him is make a qualifying offer, which it is expected to do. Griffin got one start at WLB in the opener at Denver and Calitro started five games. Seattle signed Kendricks following the opening game of the season against Denver in the wake of the injury to Wright and then struggles by Griffin and Calitro — who were each playing in their first NFL game — as the Broncos won 27-24 in a contest in which the Seahawks allowed a season-high 470 yards. 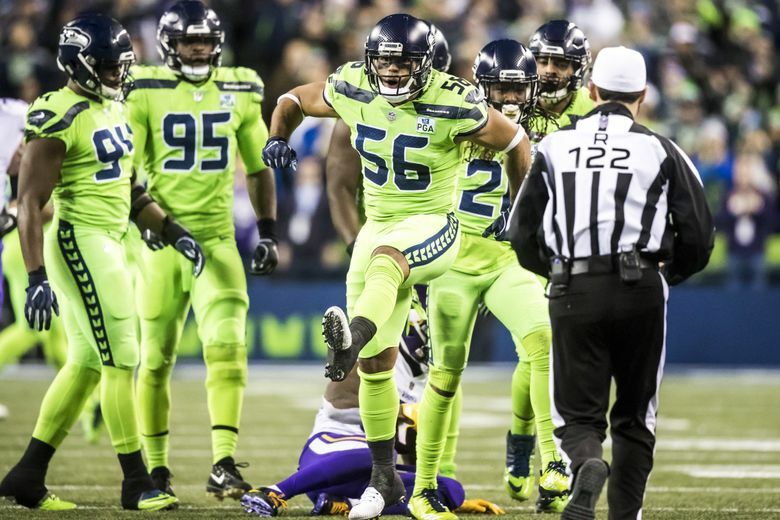 Kendricks played substantially in the next three games, in which Seattle went 2-1, before being hit with an NFL suspension. He returned to play against Minnesota and got the start and had four tackles before being injured in a 21-7 Seattle win. The 28-year-old was a second-round pick of the Eagles in 2012 and then signed last year with Cleveland, which released him following the revelation of the insider trading plea.